Crowded and overlapped lower teeth that will be fixed by Invisalign or ClearCorrect invisible braces. If so, then invisible braces done in our Orange office by Drs. Nicholas and Carla Calcaterra may be the solution! We were able to complete the above case in approximately 6 months. Post-orthodontic crowding or relapse with the front teeth. This is most frequently seen in patients in their twenties when orthodontic treatment was completed in their mid teenage years. Minor spacing or gaps between the teeth. A gap between the two front upper teeth is called a diastema and many patients like to have that corrected. A tooth or teeth that need to be rotated in order to align with the adjacent teeth. A midline that is not match the opposite arch. 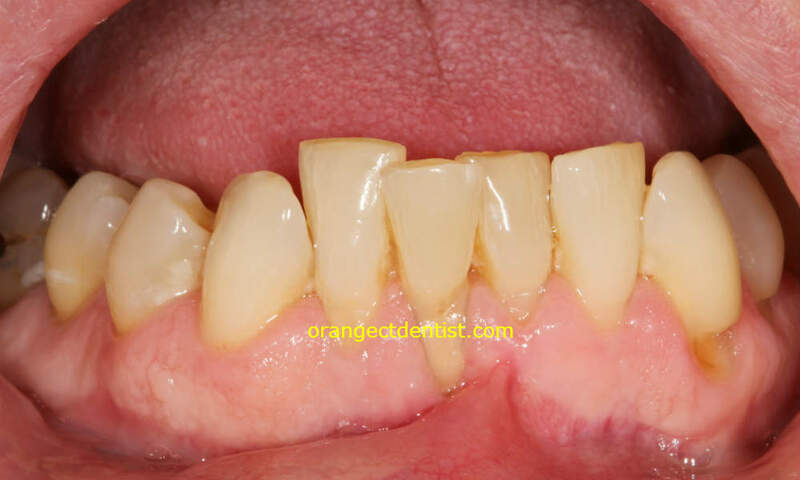 Correction of excessive overjet (when the patient’s upper teeth stick out too much relative to the lower teeth). Dr. Carla Calcaterra is certifed by both Invisalign and ClearCorrect. She has helped dozens of patients move teeth to improve their smiles and their overall oral health!